December 3, 2018 was the first women’s home basketball game featuring the Jordan Matthews’ Jets in a big showdown. The game was a thrilling start to the Jaguars’ season, leaving some players excited to think about team dynamics and the future of their program. Ana Leigh, junior guard, sees a lot of success ahead for the team. “I expect that throughout the season we will develop a lot of chemistry and meet the goals that we set, and I think that we will be successful, and we’ll have a good time,” said Leigh. Nichole Noel, junior small forward, is excited for the team to showcase their skills in conference play. The game started off a bit slow with the other team breaking away with a big lead. But the Jags had some time to think during halftime, and they had a strong third quarter. Even though the Jags lost, they learned what they need to work on to be more successful in future games. “Our first home game did not go as we planned, we didn’t execute plays correctly, and we weren’t happy with how we were doing, but at the end of the game we picked it up and ended strongly,” said Leigh. Leigh has also thought about potential strategies that the team could work to incorporate into their next game. “We need to work on making layups and free throws and encourage people on the court more from the bench,” said Leigh. Leigh thinks that having a strong fan base and support system can improve player performance and raise the spirit of the team. 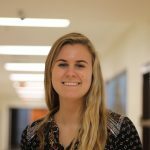 “Definitely, 100 percent, people need to show out; we could definitely use more support,” said Leigh. 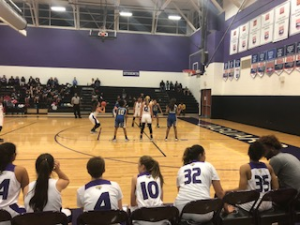 The team’s next home game is on December 20 against Bartlett Yancey, and the Jags are excited for another chance to showcase their work as a team. 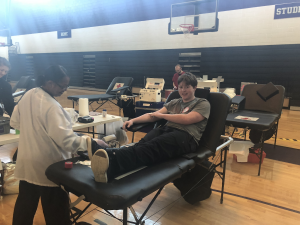 On December 17, 2018 the CHS Red Cross Club held its annual blood drive in the gymnasium. An estimated 50 members of the Jaguar community signed up, with participants including teachers, students and parents. The whole process for donating blood takes around one hour and each person who donates saves an estimated three lives. At the end of the process donors receive snacks, drinks and a shirt to reward and refuel them after having their blood drawn. The club started preparing at the beginning of December for the event, setting up a sign-up station outside of the media center encouraging peers to volunteer. “I had so much fun meeting and talking to everyone who volunteered. It was great to see so many people taking time out of there day to donate blood,” said Alyssa Taylor, Red Cross Club member. 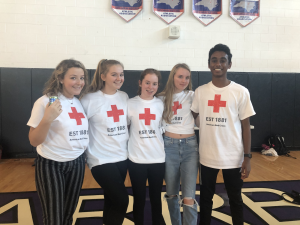 Bridget Kelley, Olivia Hall, Lina Bruno, Alyssa Dunn and Praveen Puviindran members of the Red Cross Club. If you didn’t sign up for the winter blood drive the Red Cross Club encourage anyone who can to sign up for the spring blood drive, typically held mid April.